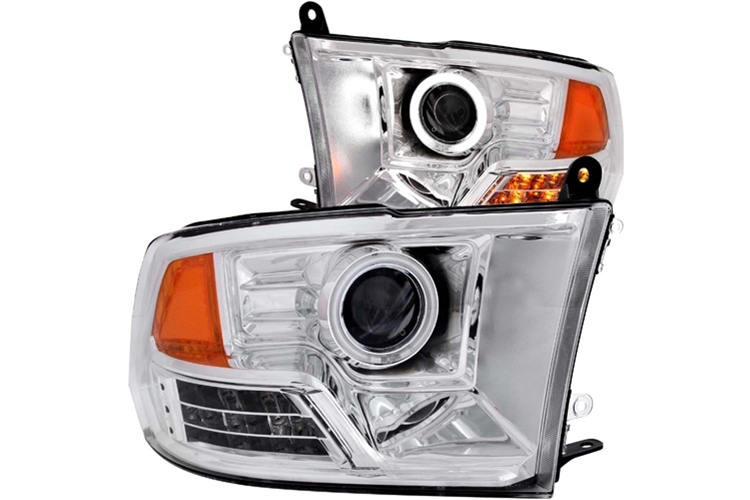 Chrome O-Style CCFL Halo Headlights 09-18 DODGE RAM Anzo Chrome O-Style CCFL Halo Headlights 09-18 DODGE RAM, Chrome O-Style CCFL Halo Headlights 09-18 DODGE RAM, Chrome O-Style Halo Headlights 09-18 DODGE RAM, Chrome CCFL Halo Headlights 09-18 DODGE RAM, Chrome Halo Headlights 09-18 DODGE RAM, [Anzo 111160 Head Lights] - $469.95 : 3rd Strike Performance, Your Source for Late Model MOPAR Performance Parts and Accessories! CCFL is the oldest halo lighting technology. It produces a smooth glow that a lot of customers really like. Unlike LED lights you can't see a bunch of individual lights on the ring. The notable disadvantage to CCFL is that it is not as bright as LED or Plasma. Built to last through 50,000 hours of continuous use.